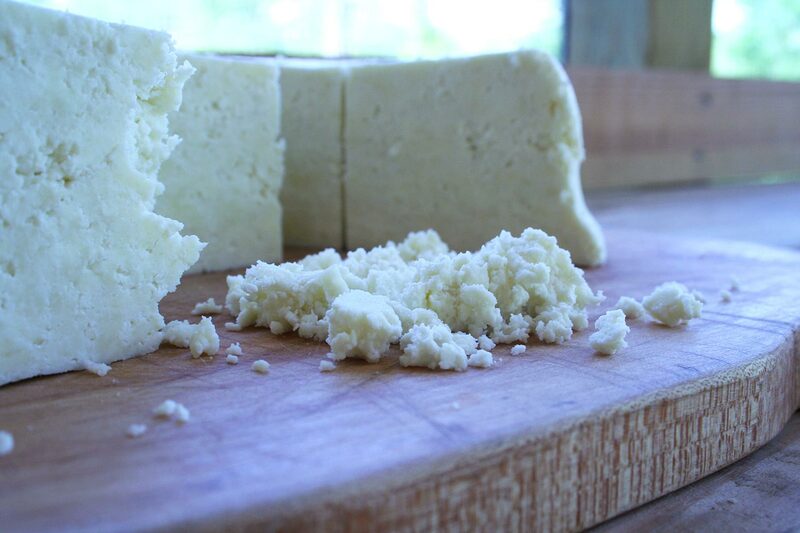 Home made Mexican fresh and crumbly cheese. 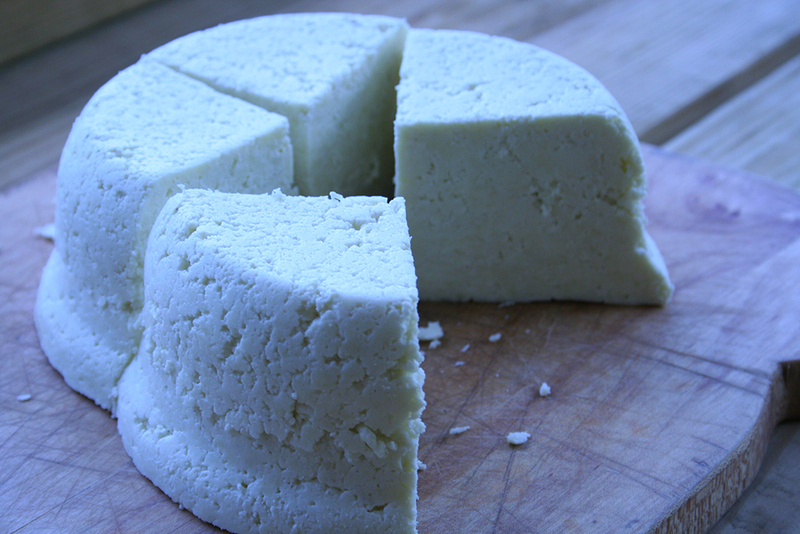 Queso Fresco translates to fresh cheese. 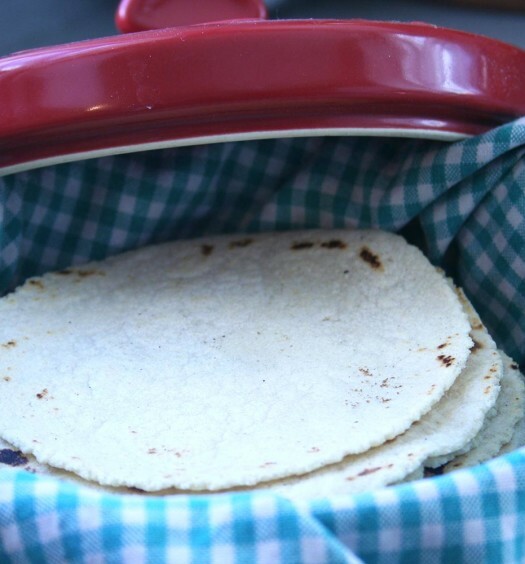 It’s a simple, salty, crumbly cheese that is a great garnish on tacos and enchiladas. And it’s incredibly easy to make. We live down the street from a dairy farm, so we have access to great whole milk. That’s the key ingredient. 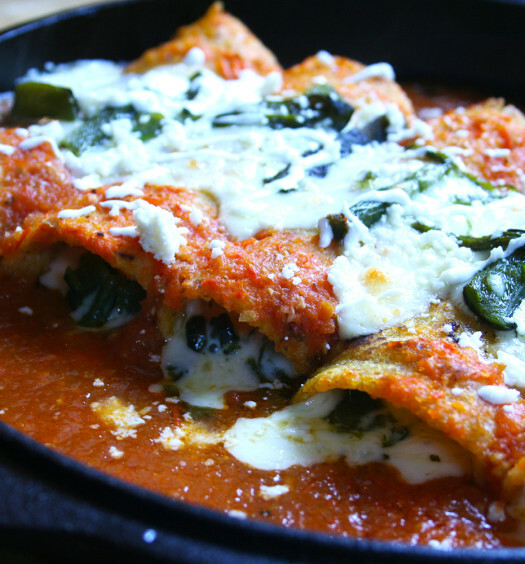 You’ll need Whole milk, salt, and vinegar. Bring the milk and 2 Tbsp kosher salt to a boil in a large Pot. Stir often as it will burn on the bottom if you’re not careful. As soon as the milk gets to the point where it wants to boil, turn off heat and add the vinegar. It should begin to separate quickly. Stir for a minute or two to help it along. 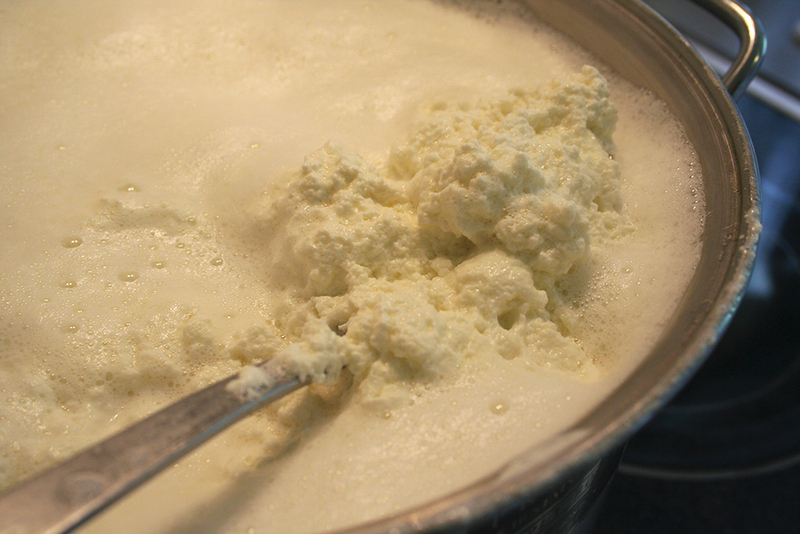 Place a cheesecloth in a colander and carefully pour the curdled milk in. Let sit for a few minutes to cool. 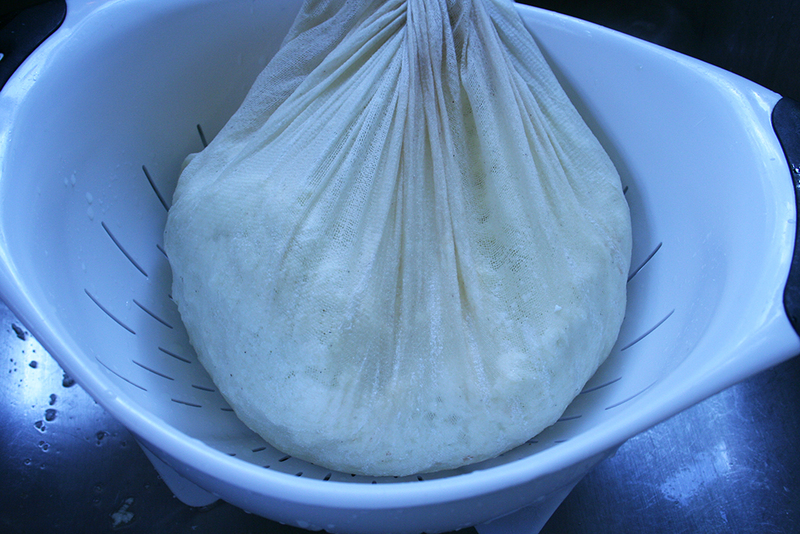 Gather up the sides of the cheesecloth and bring the cheese into a tight ball. Squeeze out as much liquid as you can. Now you have cheese, but it is relatively flavorless. place the cheese into a bowl and add salt to taste. I like my cheese on the salty side. 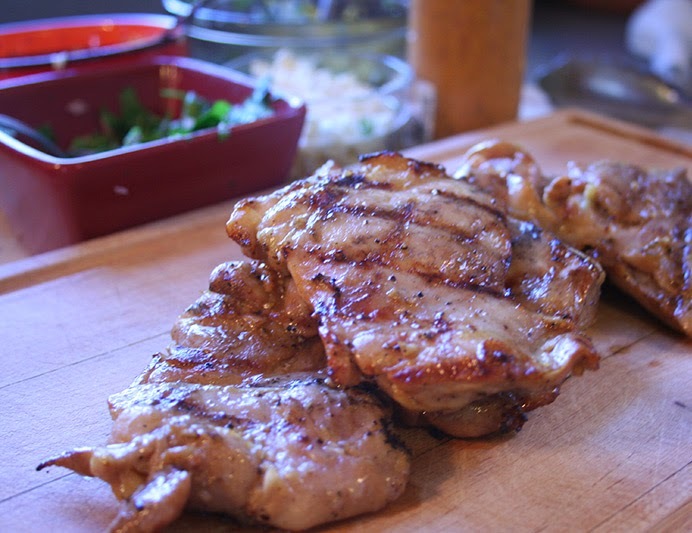 I added about 1 Tbsp of smoked salt for a unique flavor, but any salt will do. Mix into the cheese by hand. Now press the cheese in a bowl just large enough to hold it. 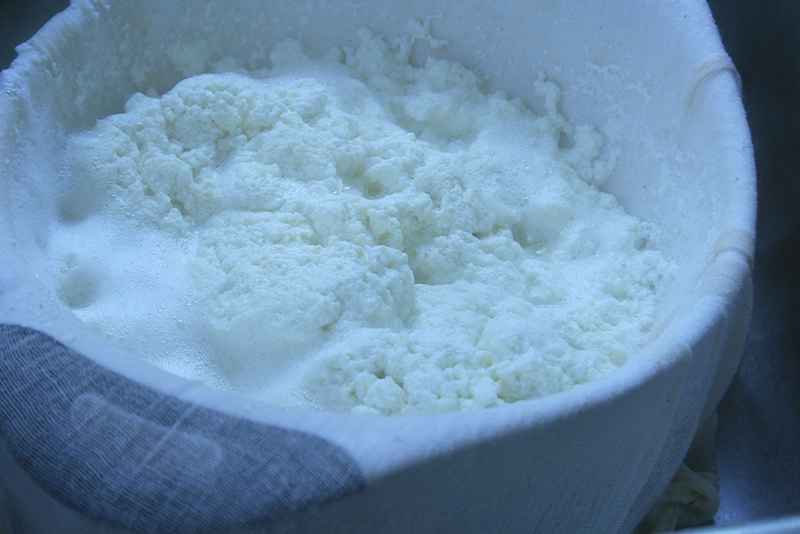 Cover with plastic and weigh down with something heavy for about an hour to compress the cheese. Slide a knife down the sides of the bowl to remove the block of cheese. Enjoy. Awesome. 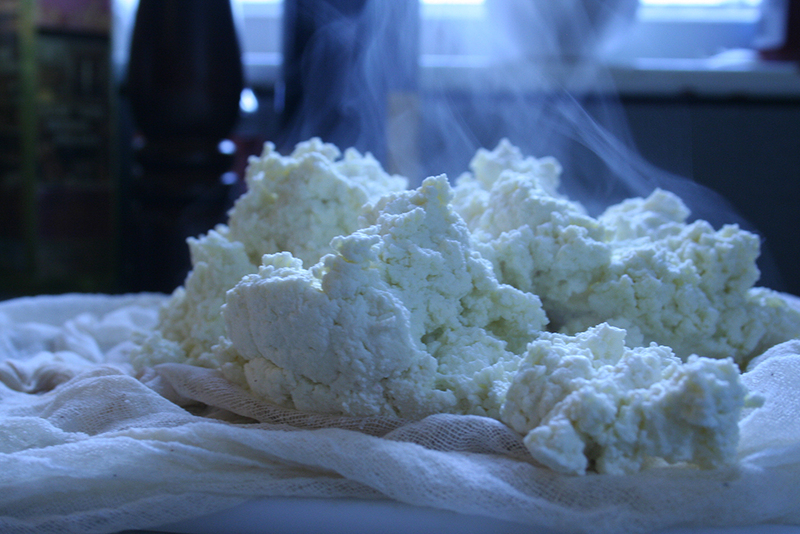 Gather up Cheese Cloth and squeeze out as much liquid as possible. 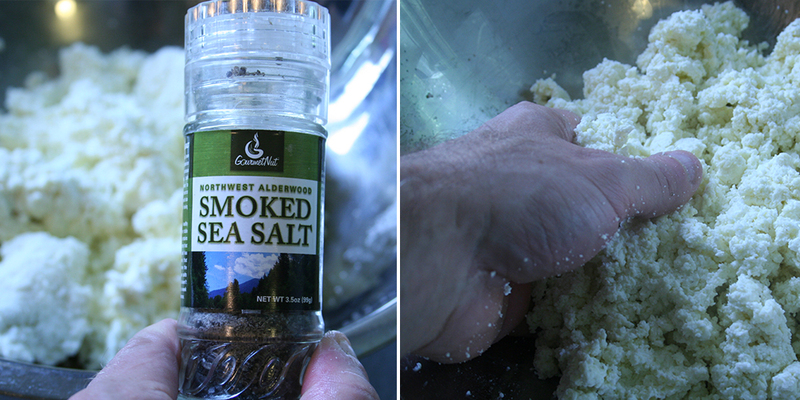 I added smoked salt to the finished cheese.